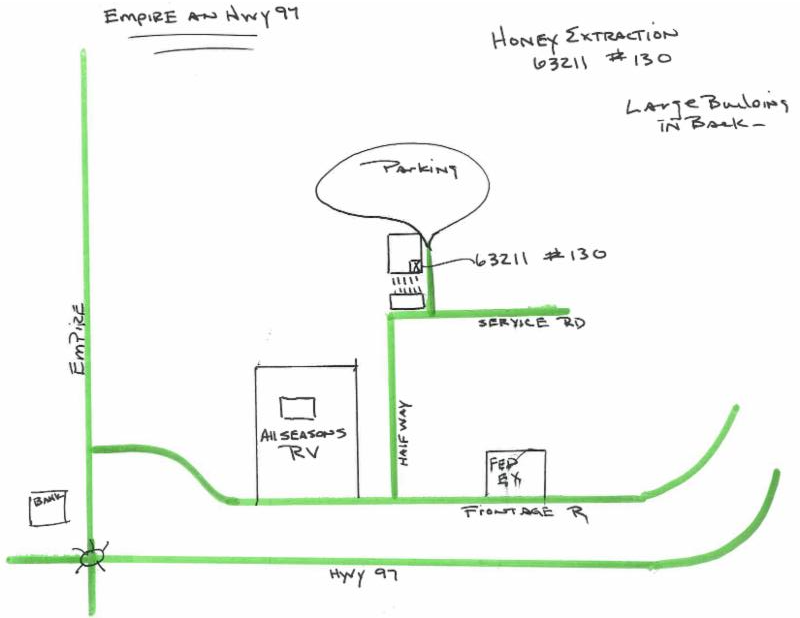 Bee Academy honey extraction THIS weekend, October 3rd and 4th, Saturday and Sunday from 8-5. Bring your frames and get sweet! ALL INVITED AND ALL WELCOME....even those newly interested in the world of bees. Call Steve Harris with any questions. driveway you come to after turning onto Service Rd.